Viktor has dreams of finding a dragon. A real one – alive, fiery, and rattling its scales with each step. 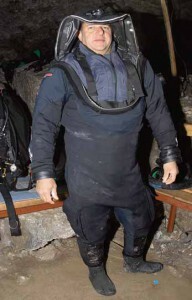 He himself concedes totally different reasons for taking up cave diving as a hobby, but they are only partly true. He is no madman. He knows that times have changed, and dragons have disappeared forever. But a dragon might still possibly survive in some remote, lonely cave! Perhaps, he already has, but does not tell. Viktor is also an NAUI Instructor, a journalist, a designer, a professional underwater photographer, and winner of international photo competitions. Where do you think it would be easiest to meet a graceful girl with blue eyes and a charming smile, and fond of diving? Well, certainly in a hotel in exotic country under the hot tropical sun. But some girls like it cool. At least, one of them does. This girl chose the severe and harsh beauty of cave diving rather than bright colors of warm seas with their little fish and corals. One can find her in Orda, where she went seven times within the last year. 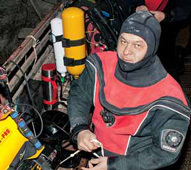 First, to become Full Cave Diver, and later as an assistant with Viktor Lyagushkin. If you meet her, you will get a lot of positive feelings during your chats with her, a charming smile, and a splash of radiant spirits. Tel: +7 (495) 508 7998. Doctor of Geological and Mineralogical Sciences. 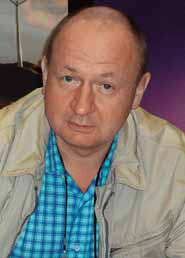 Head of the Ukrainian Institute of Speleology and Karstology, a scientific research center. 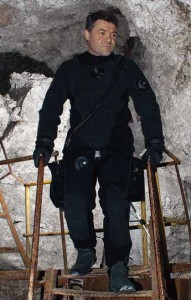 Cave Explorer, Cave Explorers Association of the Ural Mountains, Cave Recording Commission, Coordinator. 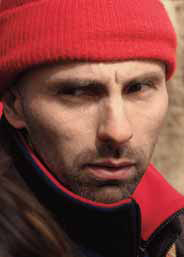 Pioneer and explorer of many caves in the Perm Region. Specializes in exploring vertical caves and penetrating extremely narrow underwater passages with zero visibility since 1989. Candidate of Biological Sciences. Associate Professor. Chair of the Department of Zoology of Invertebrates and Water Ecology. 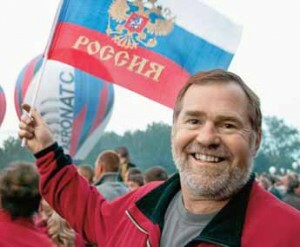 Vice Dean of the Faculty of Biology at Perm State University. First explorer of the Sverdlovsk Passage. Basic Cave Instructor NSS-CDS. Full Cave Diver NSS-CDS, Technical Cave Diver IANTD, NACD DPV Diver, Side Mount Diver NSS-CDS, TEC 1 GUE. 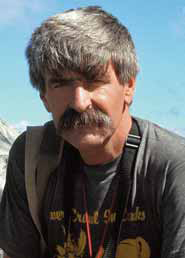 Author of numerous dive texts, NOAA Saturation Diver, Saturation Dive Supervisor F.L.A.R.E., Photographer and Journalist, 2001 NOGI Award for Sports Education. Tom holds an MS in Health Sciences, a D.Sc in Martial Sciences, a Ph.D. in Natural Health Science and is a Doctor of Naturopathic Medecine, as well as a Th.D. 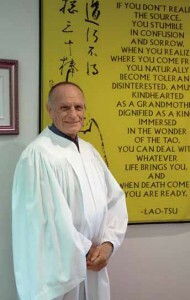 in Integral Energy Medicine with an emphasis on Intuitive Medicine from the famed Holus Graduate School and Seminary. GUE Founder & President, Halcyon/EE CEO. 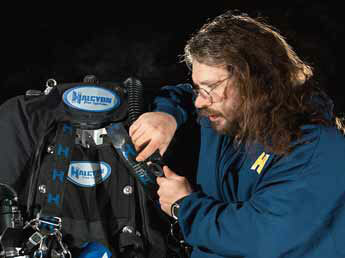 President and CEO, Dive Rite Inc. Instructor of cave and technical diving. 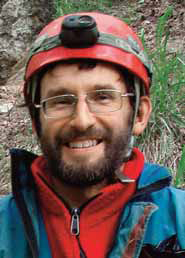 National Speleological Society, Chairman (1992-1994). 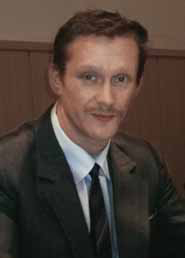 Member of IANTD Board of Advisors (current). Cave Instructor NSS-CDS, Technical Cave Instructor Trainer IANTD, Member of the NSS-CDS Training Committee. 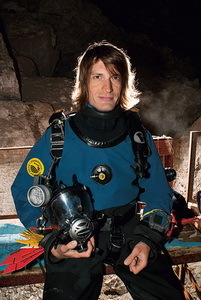 The deepest scuba diver with a world record of 330 m. He specializes in exploration with a preference for deep or complex cave systems. 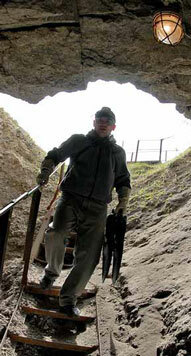 He takes part in scientific research of caves (fresh water reserves, surveys, and protection). TDI Instructor Trainer and CMAS Course Director for Cave, Advanced Wreck, Nitrox to Advanced Trimix, and teaches deep diving up to 120/150m. 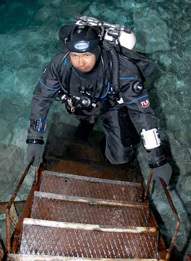 He is the co-author of “Technical Diving Guide”. 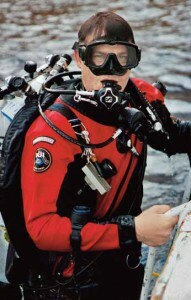 Trimix Instructor-Trainer, Trimix Instructor CCR Inspiration, Full Cave Instructor, Freediving Instructor. Training Agencies: IANTD, CMAS. 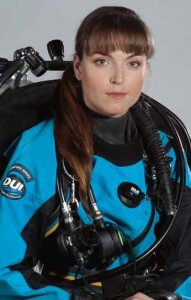 The only Russian female cave diving instructor. IANTD, TDI and CMAS instructor. Open Circuit Diver – Advanced Trimix & Full Cave Diving. CCR diver. Advanced Trimix Instructor TDI & Full Cave Instructor TDI. Studied with Nick Toussaint and Pascal Bernabe. 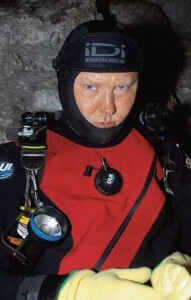 Full Cave Diver NSS-CDS. Cartographer of the Orda Cave map. Plans for the nearest future are to continue to find new passages and to survey the Sudinski Sinkhole and the Babinogorskaya Underwater Cave. Cave diver, underwater hunter, cave explorer, and a remarkable underwater video operator that has been capturing the Orda Cave on film for the past eight years. 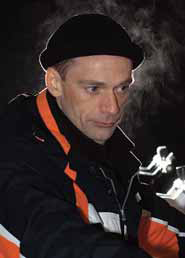 He has performed an 85-meter breath-hold dive through the Orda Cave, the only person to do so. IDC Staff Instructor PADI # 641799.
i saw pictures from your diving site Orda cave. what i can do to get my self to dive in that incredible place. Just write an e-mail to one of members of our team: Vladimir Grigoriev or Sergei Gorpinyuk – they may help you to come over and dive there. you are welcome!